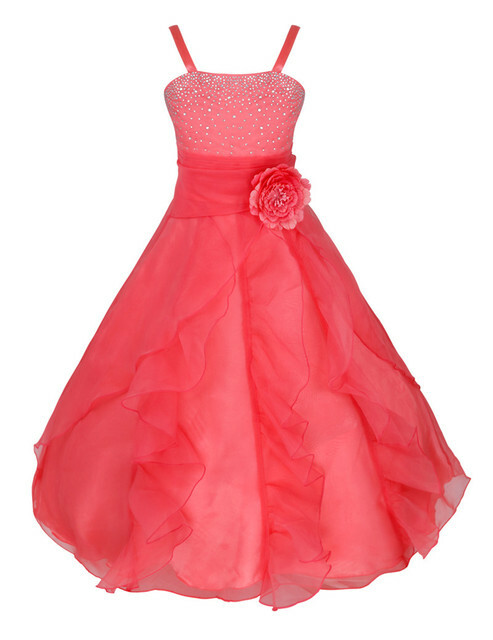 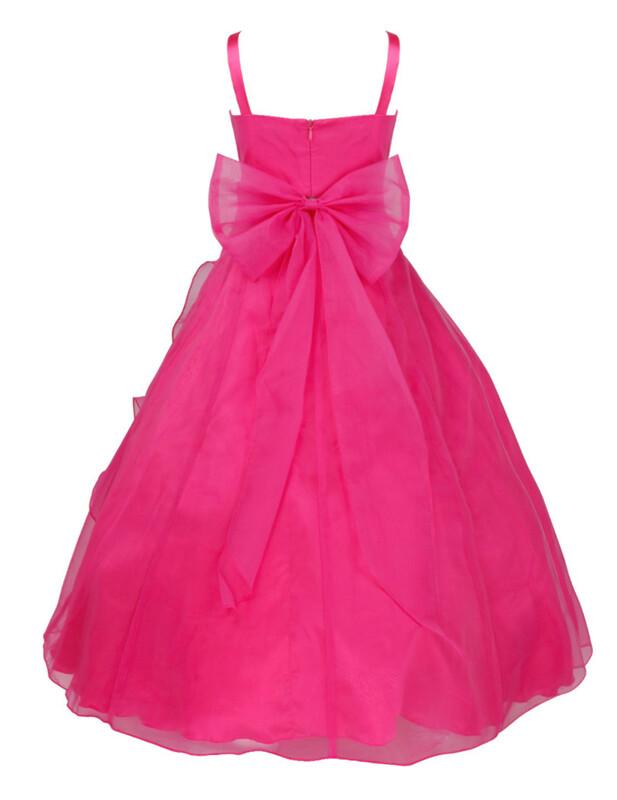 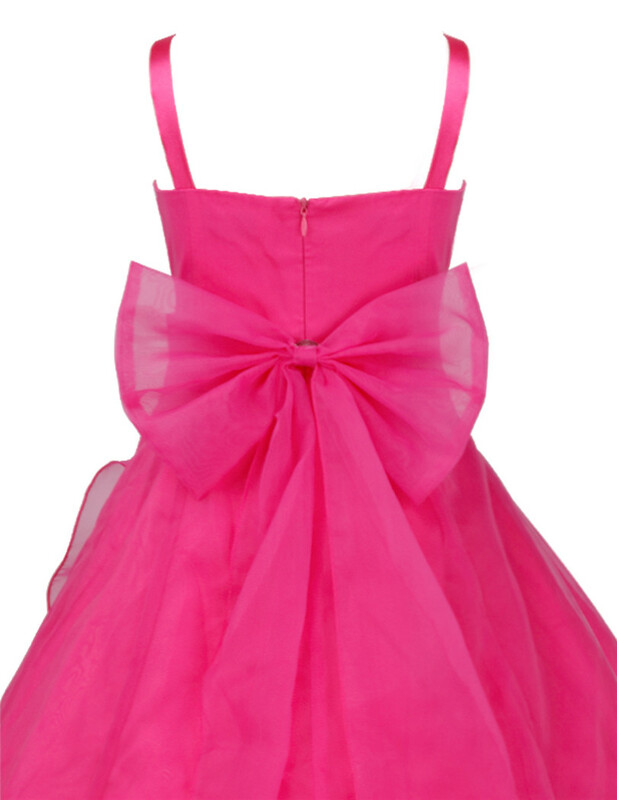 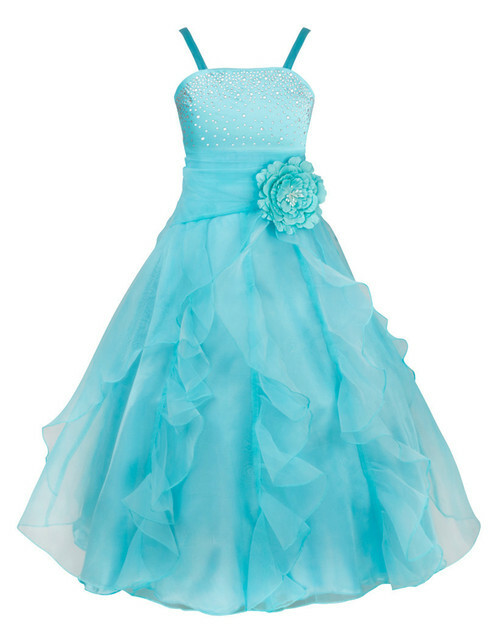 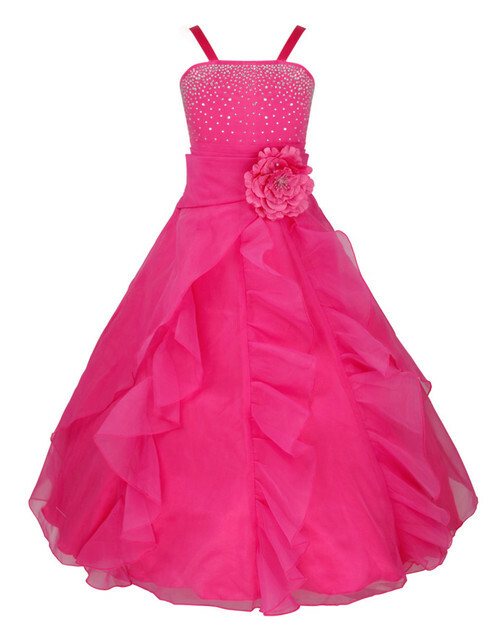 Beautiful girl’s tulle princess party dress with spaghetti shoulder straps. 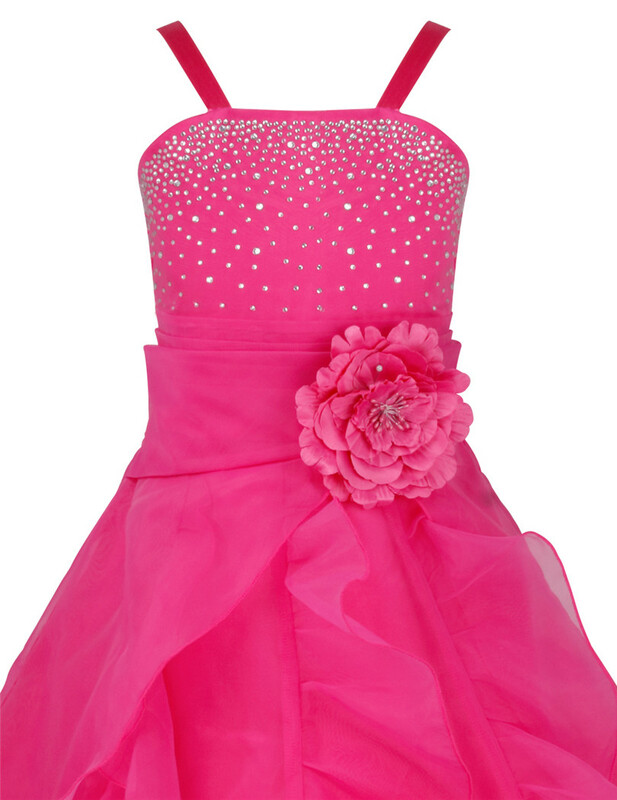 Top bodice accented with sparkling faux rhinestone detailing. 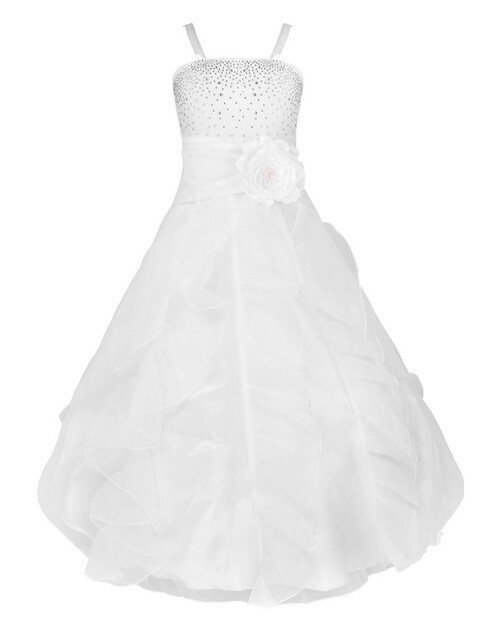 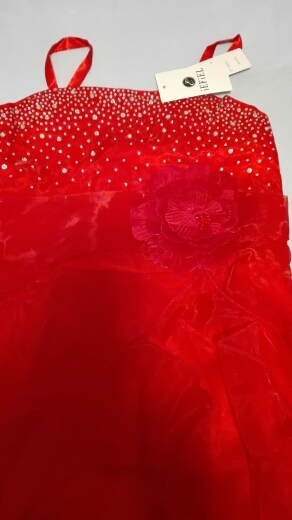 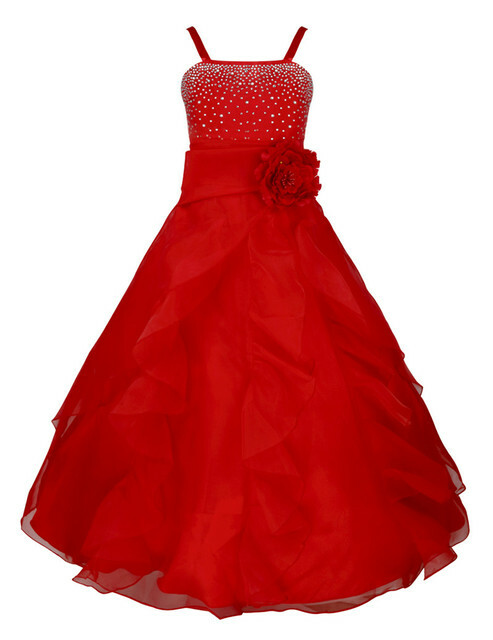 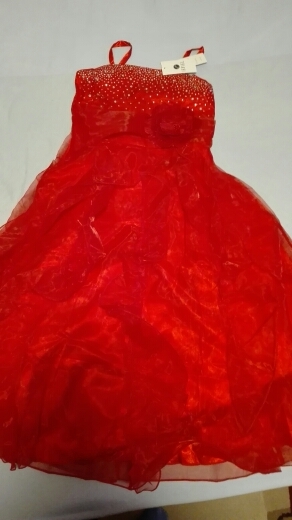 Dress with 3 layer skirt ncluding top organza layer with attached ruffle detailing, 1 layer satin and 1 lining with netting for additional fullness.